Consider this: Every decision you make in life is guided by something. What is it that guides your decisions? It could be the example of your parents, religion, or school. Maybe you follow your peers and the cultural norms of the day. Perhaps it’s education or intellectual analysis that leads you. For many, their decisions are guided by emotions or feelings. All of these are guides that can lead us astray, as they may not be accurate or they may change over time. Yet the one thing that we can always know is a sure guide for us and that will never change over time is God’s Word, the Bible. There are so many scriptures found in the Bible that speak of the certainty of how God can and wants to lead us through life. We are told His Word is a lamp to our feet and a light to our path (see Psalm 119:105). We are told that when we put the Word of God first in our thoughts and in our decision-making, we’ll live fruitful and prosperous lives (see Psalm 1:1-3). We’re also told that if we’ll trust in God instead of what we can understand or figure out, He will direct our path and we’ll live in health and strength (see Proverbs 3:5-8). It’s interesting to note that Jesus put the Bible above everything else in His world. 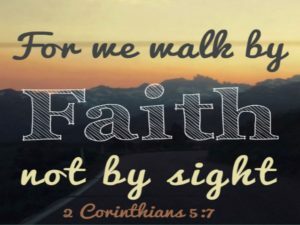 In His teaching He made it clear that the scriptures will never change or pass away, that if we build our life on them we can know we’ll be secure even in the midst of storms, and that by believing the Word of God we can see the impossible become reality in our lives. In Matthew chapter 4, when the devil tempted Jesus in several different ways, Jesus combated each temptation in the exact same way: By quoting the Bible! If Jesus, the Son of God, looked to the Bible to keep Him on course as He followed God’s plan for His life, then we need to do it even more. A great thing about having faith in God is that we all can have it. It’s a choice we make every day, many times throughout each day, to simply trust God and trust what He has said to us in the scriptures. Even if your faith wasn’t very strong yesterday, you can change that today by choosing to follow His instruction. I hope today that you’ll take some time to read some divine guidance from God. In other words, open your Bible – you probably have one or can find an app for one on your phone – and simply read what God said. He wants to guide your decisions, both small ones and big ones, so that you make the wisest choices possible.